One of the oldest sea life-forms, the sea monarchs are some of the most deadly creatures on the planet. 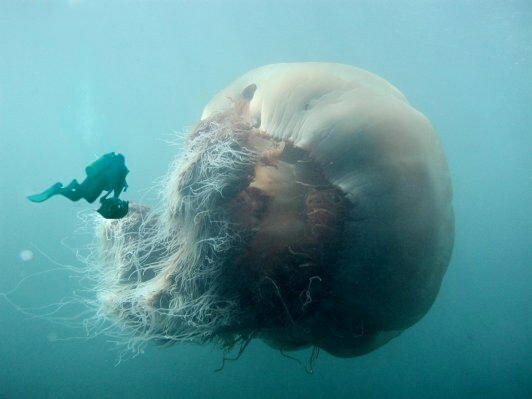 They are very large jellyfish, in the same size class as the lion's mane jellyfish, the largest cnidarian in the world. The diameter of one fully-grown is slightly greater than the height of an average fully grown man. These creatures have been found throughout the globe, often acting together in hers, and working collectively to capture prey. Often some swarm clouds have been recorded as large as 100m-500m. In many cases these creatures have been able to bring down creatures much larger than the individual portions. 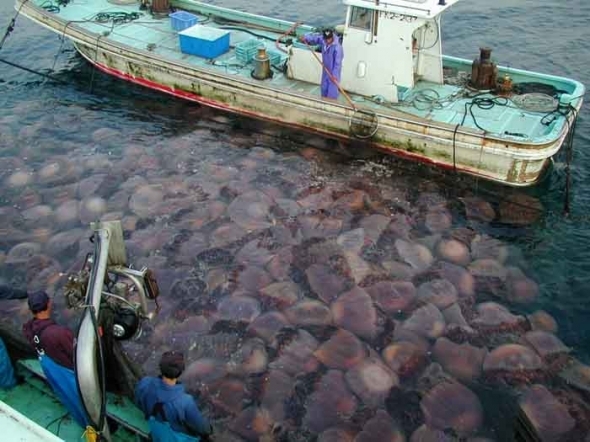 Many sailors will report that these creatures can often swarm and attack even large ocean-going vessels. 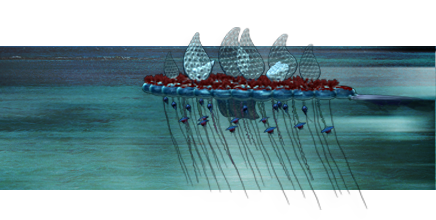 Stories have been told throughout the centuries of sailors being stuck in the middle of the oceans, after being swarm attacked by these creatures. Individually these creatures are extremely vulnerable to the same pressures and environmental limitations presented to most invertebrate creatures.